Reward and congratulate your employees through employee recognition programs that will excite and reignite employees with the entertainment they need to return to work refreshed and ready to maximize their involvement! 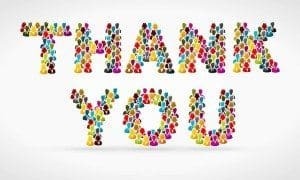 Many Fortune 500 companies swear by employee recognition programs as they improve employee morale while recognizing the work of their valued employees. It is an excellent way to celebrate hard work while also saying thanks to those who dedicate their time to providing good service. Although employee recognition programs are a great way to show appreciation to your staff and company, it can often be difficult to find the right entertainment for this particular event. There are many of different entertainers to choose from, but you do not want to pick just anyone to host and perform at this type of event. Choosing the perfect performance will kick things up a notch leaving guests talking about your event even after it is over! Here are a four acts that are guaranteed to please all audiences! Recently nominated as Corporate Comedian of the Year, Ron Pearson will keep audiences on the edge of their seats and on their feet with his hilarious and highly entertaining act. This expert juggler has made multiple national TV appearances and remains one of the most top-rated acts in the industry. Bob Stromberg’s comical performance will send audiences into deafening laughter with his fresh and original humor. This genuine and animated entertainer mixes lighthearted humor with a touch of realistic values that will leave a vivid imprint on of the hearts of all guests. Bob Stromberg is an entertainer that is sure to make an impact while creating an enjoyable and one-of-a-kind performance. Joe Castillo is a former America’s Got Talent finalist surprises and amazes guests with his creative and innovative storytelling as shown through sand. All images are created by hand as this brilliant artist and storyteller takes guests on a magical and whimsical ride as eye-catching images captivate and perfectly capture his brilliant and riveting stories. 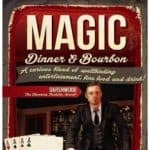 Also known as Stevie Starr, this entertainer will keep guests astonished and intrigued with his world-famous magic act. The Professional Regurgitator swallows a variety of items from a half-million dollar engagement ring to whole light bulbs. Don’t worry, though, all items are returned as good as new and sometimes even better than before! Booking fabulous entertainment is an amazing way to kick off a memorable and miraculous employee recognition program! Not to mention, rewarding employees with this type of event will improve all aspects of their work environment and ethics. These four unforgettable acts will mesmerize guests with continuous laughter and one-of-a-kind performances. Set your event apart from the others by booking one of these talented and top-rated acts for your next event!